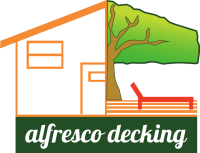 https://youtu.be/mfOl47RIniM - Click to see Video This project was a complete overhaul of an existing decking platform. The top boards where extremely perished due to age. Much of the existing frame was also replaced along with extra posts for solid support of the new deck. 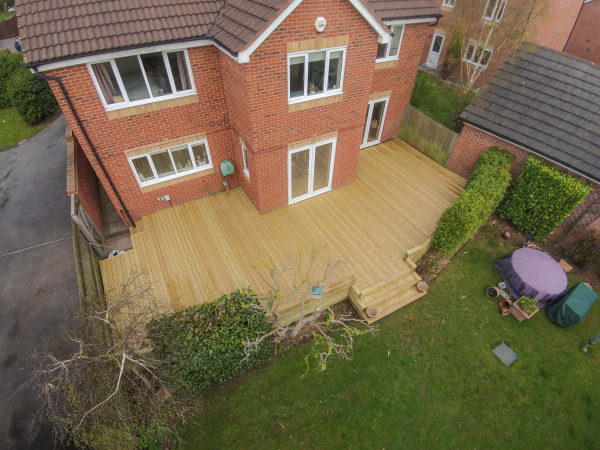 Railway sleepers were used to frame the front of the deck and create a solid and eye catching set of steps down to the lower garden. Traditional softwood deck with thick rope railings. Please visit our Blog to see regular updates of recent jobs. Also, please visit and like our social networking pages.